Many times at restaurants our gracious server will encourage us to mind the plate, because it’s hot. But we’re usually so famished we dive in anyway. So maybe that’s why we can relate to the plight of a diner in Orland Park, Illinois, who was attacked by marinara sauce as she cut into her plate of lasagna. The Chicago Tribune reports today that “According to a lawsuit filed Tuesday in Cook County Circuit Court, Theresa Thomas suffered severe injuries and has been unable to work since she was squirted with the red sauce in December at Osteria Ottimo Ristorante.” Saying that her burns are so severe she is unable to work, Thomas is suing for over $50,000 and legal fees. 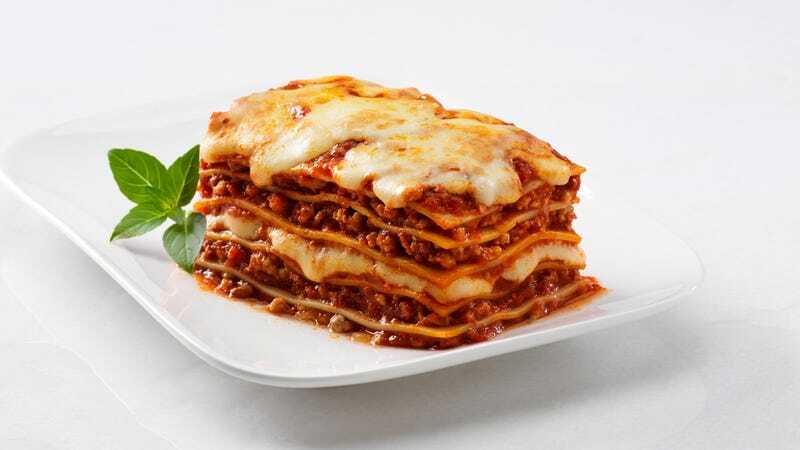 We have to say, we have cut into a plate of lasagna a thousand times with no thought except for how quickly we could get that pasta into our pathetic, gaping maws. No longer! We’ll be looking at you with a careful side-eye from now on, lasagna.